Can you reach every buyer with one title? The new "machine learning" algorithms simulate how people look for things in real life. Think about it: they search for the few items that are tailored to a particular need. Use your title to speak to the perfect buyer for that item. No need to worry about everyone else, as they are not buyers. This goes back to basic marketing: who is your target market? You cannot reach everyone with one title. Narrow your target audience. If you try to market your items to everyone, you will hold back your shop. Besides, no one can afford to market to everyone. Not even huge companies. Think about the commercials you see on sports events, versus those you see on Saturday morning cartoons... Yes, different markets. Search engines prefer natural wording. But that is not the only reason to use it. Consider the increasing importance of voice search. Many people now own and use Alexa or Google Voice. Search engines look for topic and context rather than exact words. Real people do too. So write titles for real people. Make your listings appeal to the people your title is set up to attract. Use keywords and buyer phrases that are relevant to your target customers. Make shoppers comfortable. Convince them that you are knowledgeable and trustworthy. This is easier if you specialize in what you sell. Here are more ideas for keeping buyers in your shop. Why is it bad to use the same word combinations over and over in titles? 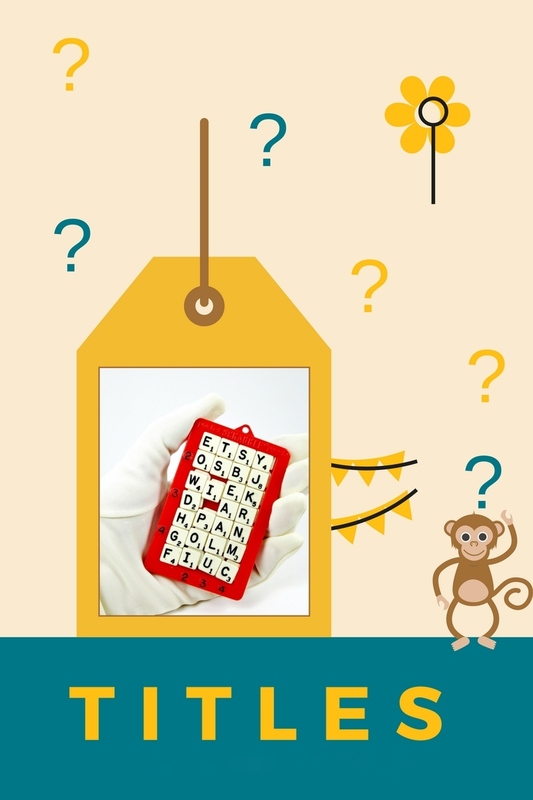 Some sellers get into the habit of using similar word combinations over and over again in their item titles. When you do that, you miss out on marketing to buyers who use different terms to search for your items. Mix it up. I know it sounds crazy, but varying the wording of your titles could make a big difference in getting found. Change up your word combinations. What kinds of terms does your target audience use? Use a purchase phrase list. One word that it is OK to have in every item title is the word "vintage." Do avoid placing the word "vintage" in the valuable real estate right at the beginning. Put it after the first five or so words. What about "word salad" titles? Avoid stuffing your titles with keywords. 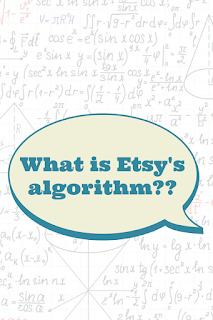 Although this may have been encouraged in the past, Etsy is switching over to artificial intelligence, or AI. "Stuffed" titles will no longer be rewarded in search. 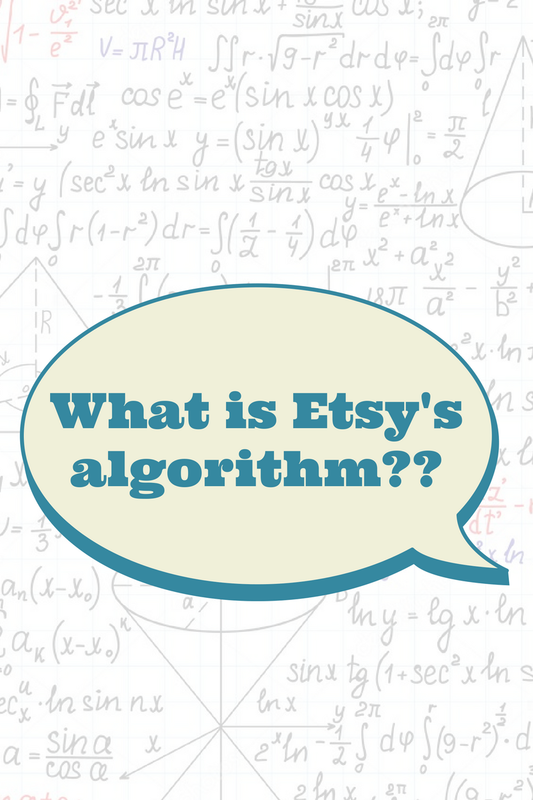 Etsy's AI scours the site looking to match up searchers and the items they search for. When your title is unclear, AI will find lots of clear titles that do match what it is looking for. Those items get moved up in search. The “muddier” titles get pushed down in ranking. Now let us look at some information from the horse's mouth, so to speak. Etsy has been moving toward AI for a couple of years now. Q: Is it acceptable to repeat a word in the title? Admin: We don’t recommend repeating a word [the same word over and over] in the title. Q: Must word phrases [keywords] within Titles and Tags match exactly? Admin: Word phrases within titles and tags don’t need to match exactly. However, tagging your product for “red boots” and having “red boots” in your title will give you a better chance of ranking for “red boots”. Q: If using commas within a title, is it recommended to put one space after the comma? Admin: In general, we recommend making your titles as readable as possible while still being descriptive. This would usually involve putting a space after commas when appropriate. Google definitely rewards well crafted, easy to read titles. Q: I would like to ask why is it SOOO important to use the same keywords and combinations in your title, in the description and again in the tags. .... We are constantly working to improve our internal search practices though and eventually we hope to not rely as much on the quantity of times you use a certain phrase when listing your product. What signals are you sending with your titles? Are you reaching your target market? Some great advice here, thank you! I have actually been going through my listings that are set to expire and trying to shake them up a bit so this helped me. Thanks for making the art of title making so clear and concise, Joanne. I have been trying hard to make mine like you describe in this article and also reworking my relists as they come up. Keep up the good work. another great post Miss Joann. How do u have the time?